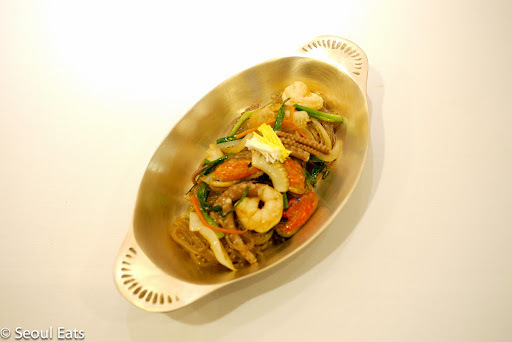 In the past, Royal Court Cuisine was a mystery for most in Korean society for only the royalty and nobility could enjoy it. The descriptions of colorful, artistic foods made with exotic and opulent ingredients would capture the imaginations of the working class. 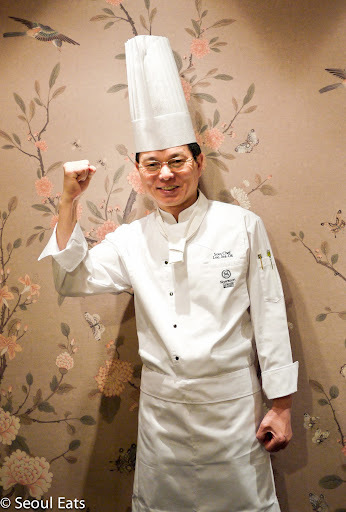 The main principles behind the cuisine is that it should be a harmonious balance of color, textures, and of ingredients from the land, sea, and mountains. Traditionally, the king would sit in a room as servants would bring tables set with food for him to dine by himself. The food would be brought out all at once and the king would be able to see all the products of his kingdom before him. By tasting pollack from Inje, the tofu from Paju, or apples from Daegu; he would be able see how his people fared. These days Royal Court Cuisine is typically reserved for special meetings and guests. 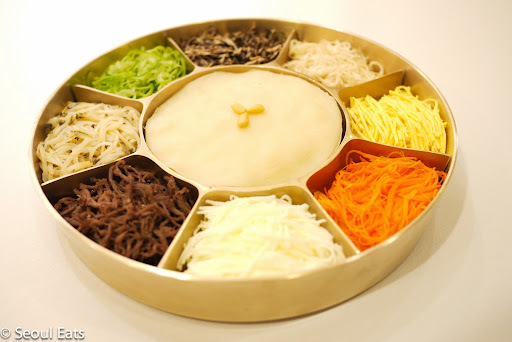 In the top restaurants in Korea, families might meet to discuss the marriage of their children and it is also a place where important contracts and meetings are held. The cuisine is an important marker in a person’s life. Royal Court Cuisine is for the refined palate that is a harmonious balance of skill, color, and health. 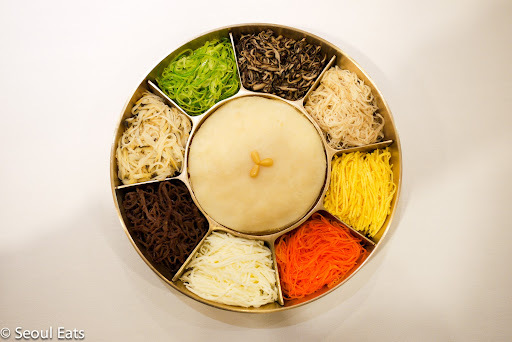 One of the signature dishes is gujeolpan, a nine-section dish with delicate crepes in the center, which is a representative dish of Royal Court Cuisine. The meticulously julienned and colorful ingredients such as carrots, mushrooms, abalone, egg whites and yolks, and more are placed on a crepe and served with a mustard sauce. I was lucky enough to have been invited to Ondal Restaurant in the Walkerhill. Here I watched their chef team under the eye of Chef Lee prepare an entire royal feast. Set on the lush, green mount Acha that looks over the Han River on the eastern side of Seoul, Ondal gives one a chance to get away from it all. 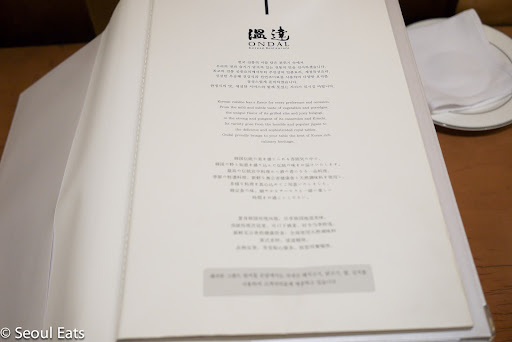 Located at the Sheraton Walkerhill Hotel, this fine-dining Korean restaurant has hosted a number of dignitaries including participants during the G20 summit held in Korea. 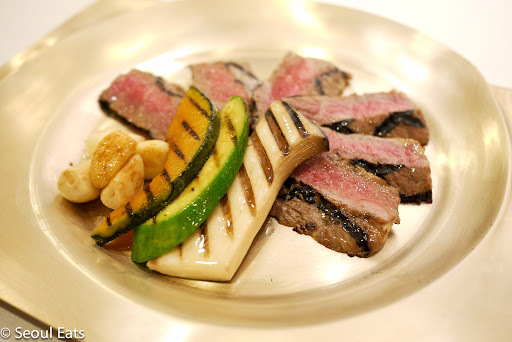 The restaurant sources the highest quality ingredients in Seoul and then diligently prepares them using modern and classical techniques. The vegetables in their gujeolpan is delightfully tender and their marinated beef neobiani is rich and flavorful while not not being overcooked. The abalone in the guljeolpan is a revelation. I have never had abalone that was so tender. The other highlights on their menu are the eel in raspberry glaze, Korean beef and mushroom bulgogi, and the grilled corvina fish. 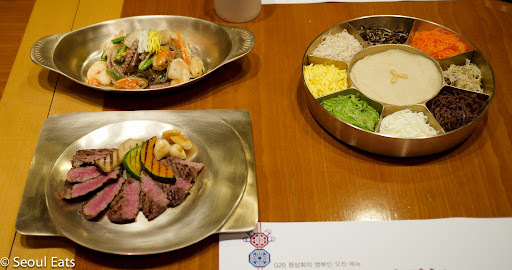 Ondal is one of two Korean restaurants at the major hotels in Seoul so for those looking for real taste of opulent Korean food, this is one place you should visit.